Forget that tangerine, bag of nuts and cardboard-like chocolate, we’ve searched high and low for the most delicious treats to fill stockings and please friends and family alike this Christmas. These milk Belgian holly chocolates are perfect for sharing with friends and family and are sure to sweeten your taste buds and put you in the festive mood this season. 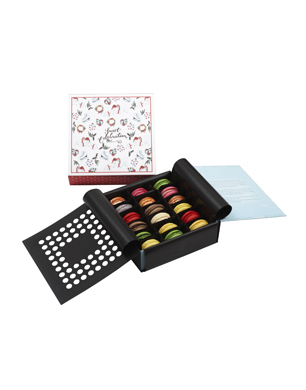 An assortment of 18 exquisite hand-made macaroons all beautifully packaged in luxurious gift boxes. Choose from a selection of flavours or leave it to the Anges de Sucre experts, A perfect gift for friends and family alike, or even as a special treat to yourself (we won’t tell). 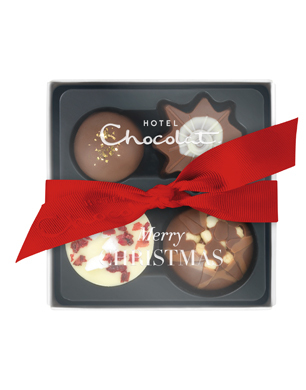 A mini selection of festive Hotel Chocolat favourites, this adorable little box makes a wonderful stocking filler or a dessert favour for the end of a special dinner party. The selection features four filled chocolates, including the Christmas Eton Mess, Billionaire’s Shortbread, Caramel Supernova and Gingerbread Truffle. If you love marshmallows, and love chocolate truffles, you are sure to love Anges de Sucre’s new invention: Muffles. 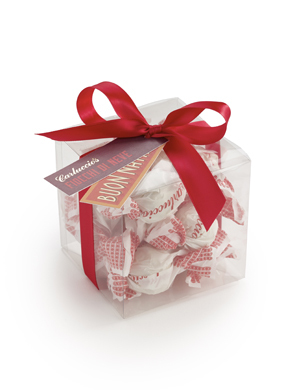 These Marshmallow Truffles are individually hand-crafted and each feature a smooth Belgian white, milk or dark chocolate shell, embellished with crushed nuts or cookies and filled with a freshly-whipped, light and airy marshmallow with a secret soft gooey core of rich chocolate ganache. Fun, frivolous and delicious treats, these are high on our wish list and launched just in time for Christmas. 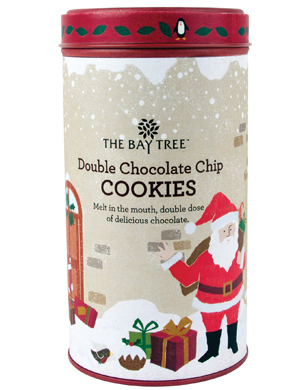 This selection of melt in the mouth double chocolate chip biscuits would be welcome in anyone’s stocking. These Fiocchi di Neve (snowflakes) are light, mini meringues with tiny pieces of hazelnut inside, sure to delight any sweet tooth. 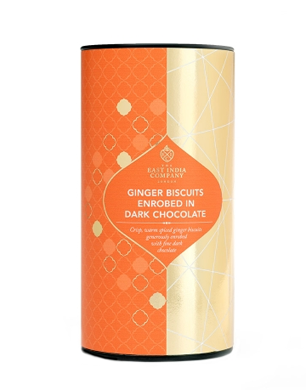 Generously enrobed in smooth rich dark chocolate these crisp and moreish ginger biscuits have been double dipped to create a biscuit that is a luxurious and indulgent to eat. 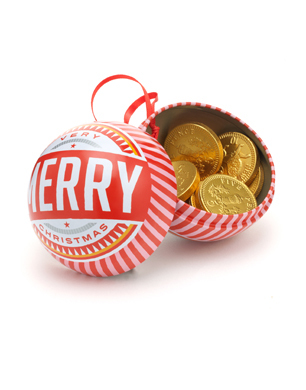 This beautiful bauble is filled with pecan praline truffles. 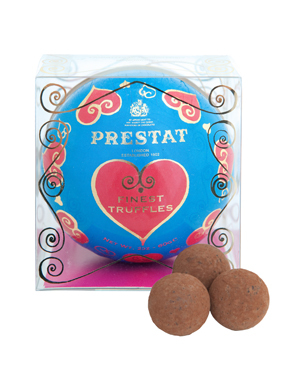 Hide it in a Christmas stocking or hang it in the tree to be opened at Christmas, these truffles with smooth roasted pecan and chocolate centres are enrobed in milk chocolate and dusted in fine dark cocoa powder, a lovely and indulgent treat. 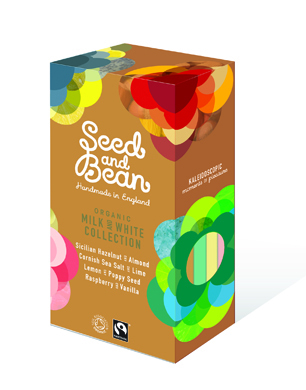 Seed and Bean is the UK’s only 100% ethically accredited chocolate producer. These gift boxes are each filled with 4 delicious, organic and fairtrade chocolate bars in adventurous new flavours. The Milk & White chocolate collection’s flavours include Lemon & Poppy Seeds, Raspberry & Vanilla, Hazelnut & Almond, and Cornish Sea Salt & Lime. 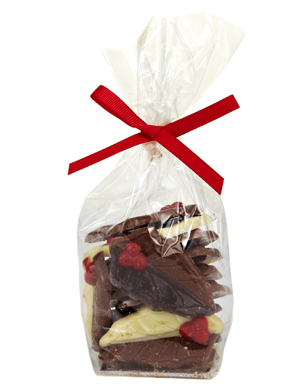 The Extra Dark chocolate collection’s flavours include Mandarin & Ginger, Lemon & Cardamom, Chilli & Lime, and Sicilian Hazelnut.